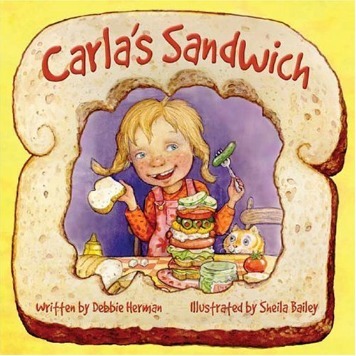 Are you looking for a fun new food book with great recipes for you and your kids? We caught up with Michelle Buffardi, author and editor at foodnetwork.com, to get her suggestions on making food fun and exciting for kids. 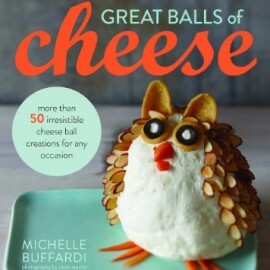 Michelle’s new cookbook, Great Balls of Cheese, features over 50 unique recipes for cheese balls that are sure to please the whole family. What inspired you to write this cookbook and bring back the cheese ball? I love fun recipes that serve dual purposes — to feed and to entertain, and the cheese ball does just that. Cheese balls make everyone smile (whether they’re in ball shape or shaped like a bird or snowman) and they taste incredible, so they’re the perfect party food. 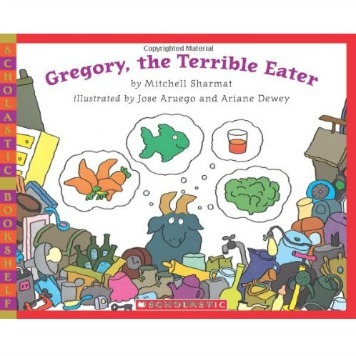 For some reason the cheese ball got forgotten for a while, but everyone loves them (bring one to a party and you’ll see) so I wanted to do a book that would illustrate just how amazing and easy to make cheese balls are. I wanted do write a cookbook that would make people laugh and smile, but also encourage them to cook more — even a kitchen novice or the person who thinks they can’t cook a thing can make a cheese ball! Which cheese ball was the most fun to create? The animal shapes were the most fun to create, like the owl on the cover, Nacho Cat, the hedgehog, or the little chick. I love to see the little cheese faces come to life when you add the eyes and nose (usually nuts or raisins). But one of my favorite plain old balls is the Inside-Out Carrot Cake– I love that one because it’s the best part of one of my favorite desserts, in cheese ball form. I was so excited when that idea worked. Do you have any tips for incorporating cheese balls into a healthy balanced diet? Just like any rich appetizer, moderation is key. The cheese ball recipes in my book are really flavorful so a couple of bites will satisfy you. And you can use whole-grain crackers or veggies for dipping to make your snack a bit more wholesome. You can also swap in reduced-fat cream cheese for the regular cream cheese in any of my recipes (you won’t notice a difference in flavor, I promise!). Cheese balls are fun for kids! Which of the recipes are kids’ favorites? Kids love cheese balls! They’re fun for them to help make — I love when my friends share photos of their kids and the cheese balls they’ve made. And what kid doesn’t love cheese? So they love eating them, too. Kids love the animal-shaped balls and the holiday balls, like the Christmas tree, as well as the pizza and the dessert cheese balls, like the S’mores ball. What are your favorite tips for getting kids excited about food? Having kids help in the kitchen gets them excited — when they play a role in the preparation, even if it’s just pouring dry ingredients into a bowl, stirring something, picking herbs, or cutting up vegetables for older kids — they have pride and excitement which helps at mealtime. Check out the Super Crew’s guide to cooking with the kids. What’s your go-to-lunch as a busy working woman? Soup is my favorite meal — it’s easy to make and a great dish for loading with healthful ingredients, or even to get rid of the stuff in your fridge, like the stray carrot or handful of greens or grains you don’t know how to use up. I make some kind of random-vegetable and bean chili probably once a week. Then I pack my leftover soup for lunch each day. I also keep a container of Greek yogurt and some peanut butter and jelly at the office for a snack or lunch – I love PB&J on yogurt more than bread! What do you think the next big food-craze will be? Am I allowed to say cheese balls? Cheese balls are the next big craze! Other than cheese balls, I’d say that vegetables will continue to be on trend — eating more of them, and cooking them in creative ways (cauliflower pizza crust!). 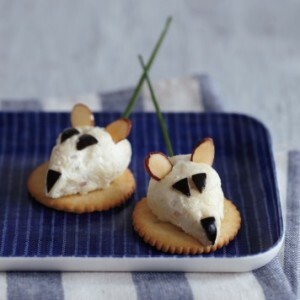 Check out this fun Mouse Bites recipe and activity to get a taste of the rest of all that the book has to offer! Erica is a registered dietitian nutritionist who specializes in helping individuals develop healthier relationships with food, & helping families develop healthy habits that will last a lifetime. 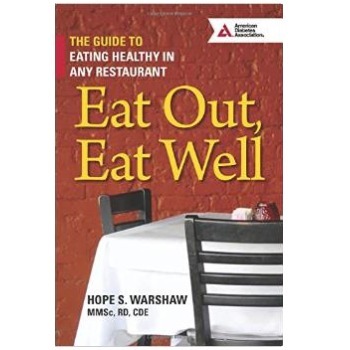 Her nutrition counseling philosophy centers around eliminating dieting, and instead, listening to and trusting the body. She empowers her clients to become mindful and intuitive eaters, and helps parents pass on these powerful messages to their children. She runs a nutrition counseling practice in Los Angeles, California, and spends her free time in the kitchen with her friends and family.